Compassion started working in Burkina Faso in 2004. Today, there are over 90,000 children registered in our programs at 319 church partners. Even as millions of Burkinabes struggle to meet their daily needs, increased terrorist activity and the ever-present threats of food and water scarcity across the Sahel region make life more tenuous. Poor health is a significant barrier to Burkina Faso’s development. Approximately 27 per cent of children in the country suffer from moderate or severe growth stunting caused by chronic malnutrition during early childhood. The country currently holds the highest infant mortality rate of all of countries in which Compassion works, with approximately 53 infants dying for every 1000 born. The overwhelming majority of people make their living from subsistence agriculture, which is vulnerable to drought, floods, and in recent times, locust plagues. 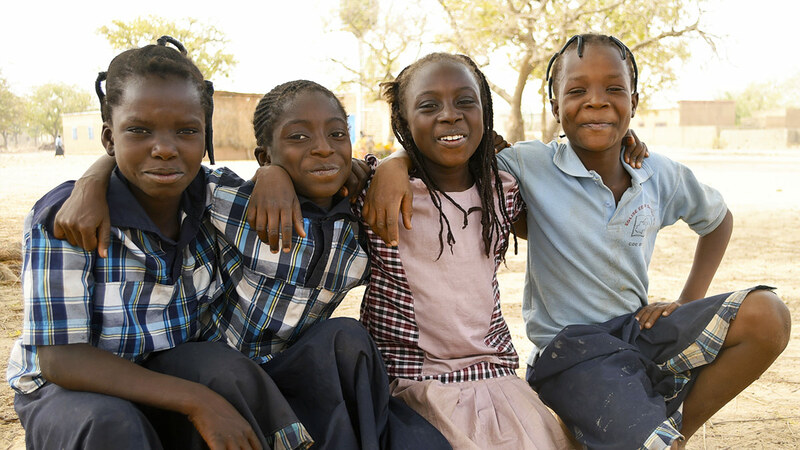 Burkina Faso has a very young population: 46 per cent is under 14 and two-thirds younger than 30 years old. Many young people are frustrated by the lack of opportunity for education and reliable work. Almost one-third of primary school-aged students aren’t enrolled; instead, they often work the land in an attempt to boost their family’s income. Older students struggle to find jobs on graduation—and their protests played a key role in the ouster of former President Compaoré in 2014. The country also faces a growing threat posed by Islamic extremists, many based in neighbouring Mali and Niger; these insurgent groups have grown bolder in recent years, attacking military targets and murdering civilians with increased frequency. The Burkinabe government faced increasing pressure to respond and declared a state of emergency in several northern provinces on 31 December 2018. In early 2019, Prime Minister Paul Kaba Thieba and his entire cabinet resigned from office. The new cabinet will have its work cut out to protect civilians as security deteriorates. Dear Sponsor, Warm greetings from Burkina Faso! I am Palamanga Ouali. 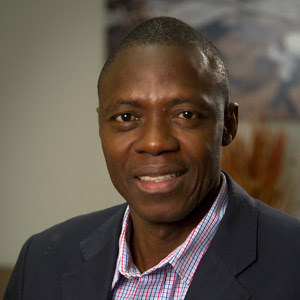 I have been the Country Director of Compassion Burkina Faso for more than seven years. I am privileged to be a part of this God-ordained ministry to children. I am married to Liliane and the Lord has blessed us with three children: Yolanda, Jessica and Michael. My family and I love the Lord and we worship in a local church of the International Society of Missionaries of Ouagadougou, the capital city. Warm greetings from Burkina Faso! I am Palamanga Ouali. 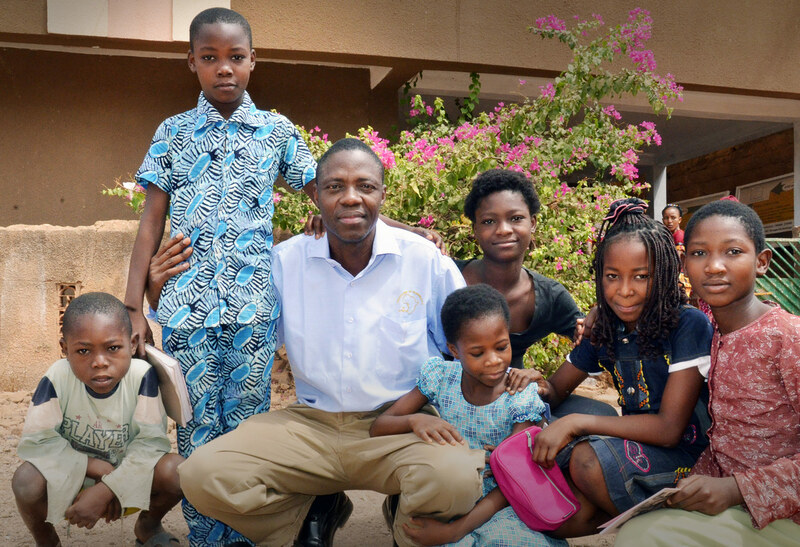 I have been the Country Director of Compassion Burkina Faso for more than seven years. I am privileged to be a part of this God-ordained ministry to children. I am married to Liliane and the Lord has blessed us with three children: Yolanda, Jessica and Michael. My family and I love the Lord and we worship in a local church of the International Society of Missionaries of Ouagadougou, the capital city. 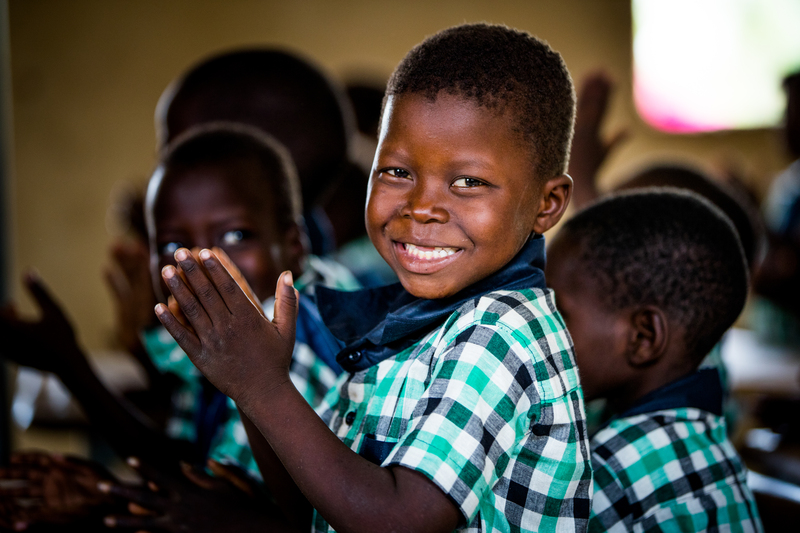 The ministry of Compassion International started in Burkina Faso in 2004 and now partners with 241 local churches to provide holistic child development to more than 77,000 registered children through the sponsorship program and 463 mothers and babies. I am elated to express my heartfelt gratitude for your commitment to break the poverty chain in your sponsored child’s life. Poverty, most of the time, is a crucial lack of opportunity, and your sponsorship is offering a unique opportunity to your sponsored child to be released from poverty. Thanks to your support, this child is loved, cared for and full of hope for a brighter future. I am so grateful, and God sees the heart of each single sponsored child asking Him to bless sponsors like you. The child development centre is a safe haven where registered children are nurtured and have the privilege to hear and learn about the love of Jesus Christ. As a result, many lives are being transformed. The specific needs of your sponsored child are being met, including food, health care, yearly medical checkups, school fees, tutoring, vocational and life skills trainings, etc. Your sponsorship is making a difference in your child’s life as well as in his/her entire family. We could not make it without your precious help. I sincerely appreciate your contribution. I pray to our Heavenly Father to pour His massive blessings over you and your family. Burkina Faso’s population was about 18.4 million in 2015. The poverty rate was estimated at 40 per cent in 2014. Nearly half of the population lives below the poverty line with less than US$307 per capita per year. The country remains vulnerable to shocks due to rainfall variations and unemployment. This socio-economic context is more appalling for children, as their welfare is threatened by malnutrition, child labour, sickness etc. More than 45 per cent of children are not educated despite the commendable endeavours to mitigate the situation and promote gender equality in school. Nearly one in two children is compelled to work to support the family. Many boys work on cotton plantations and mining sites under tough conditions. The girls have to work as maidservants in richer families, where they are sometimes beaten, raped and abused. In the northern localities with dreadfully dry climates, some families are devoted to searching for gold. The number of children who are forced to work in a terrifyingly dangerous mining environment is about 10,000 in Burkina Faso. Yet, there is still room to dream for a country that will soon be positively impacted and transformed by a rising generation of leaders that are being equipped in child development centres to overcome these challenges. This year, in some centres, we recorded a 100 per cent rate of success for the A-level Exam. Our target for 2017 is to reach out to more than 9000 more children living in poverty through partnership with churches that are also involved in local resource mobilisation for children’s sake. The need is enormous and your sponsorship comes as a valuable support to many families. Your words of encouragement sent through letters are very helpful for the children’s tenure in the program. Your relationship with the child is building confidence in his/her life. They feel happy and loved anytime they receive your letters while many others are longing to read from their sponsors. As you pray, please remember to uplift registered children, church partners, field office staff and the country. Pray for the children’s holistic development. Your sponsored child needs both your financial and spiritual support. Pray for your sponsored child to remain in the program and be successful in school. Pray for all registered children to keep on growing in good health as they live out their God-given potential. Last, but not least, pray for peace and safety in Burkina Faso. We are grateful to you and pray that the Lord continues to bless you and keep you safe. 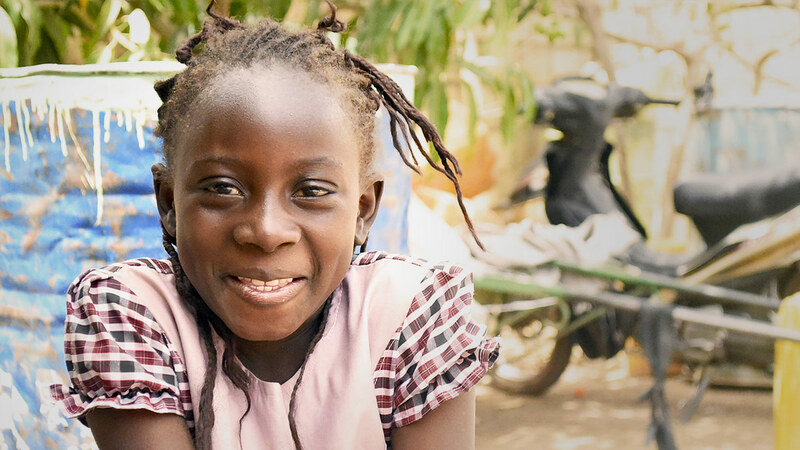 Eight-year-old Celia Lompo is registered at the BF-209 SIM Church Child Development Centre in Fada N’gourma in Burkina Faso’s Est Province. In Celia’s community, when parents are unable to fund the education of all their children, priority is usually given to boys over girls. People believe girls will get married and leave the family, while boys will always be there to support them. Eight-year-old Celia Lompo is registered at the BF-209 SIM Church Child Development Centre in Fada N’gourma in Burkina Faso’s Est Province. In Celia’s community, when parents are unable to fund the education of all their children, priority is usually given to boys over girls. People believe girls will get married and leave the family, while boys will always be there to support them. Thanks to the partnership between Compassion and the church, Celia’s generation is being well educated and the statistics at BF-209 show a perfect equality between the number of registered boys and girls. “Celia works hard at school, she likes to do her exercises and she participates well in class by asking questions about what she does not understand. Since she enrolled at school, Celia is always among the top five students in her class,” says Mrs Lompo Rebecca, a tutor at the centre. Possibo, Celia’s mother, is a brave woman who is well-known in the district one neighbourhood of Fada. In fact, Possibo is the best coach to her daughter. She says she wants Celia to succeed in life through the values such as hard work, good leadership and courage in every situation. “Praise God, Celia is a good girl who is always ready to learn,” says Possibo. Thank you for praying for Celia and so many girls and boys like her, who have new opportunities to learn and grow through Compassion’s program, the love of the local church and the support of their sponsors. Praise God for a peaceful start to the new school year in November as children returned to class; for the first time in several years, there have been no student strikes and no terrorist attacks to delay the school year. Pray for God’s protection on the staff and leaders of Compassion Burkina Faso and the local child development centre staff as they travel in different parts of the country. Pray also for many local church partners who are seeking to recruit new program staff and tutors for the children. Please pray for Jacqueline, a Compassion assisted girl who has been suffering from heart disease and will undergo heart surgery. Pray for her travels, as she has to be treated overseas, and for her surgery to go well. Pray for healing in her recovery and strength for her family. Praise God for recent rains and a good harvest season at the end of 2018; pray for the children’s families as they labour, that they will have enough food and that God will provide for their needs. Pray for President Kaboré and for the incoming Prime Minister and cabinet; pray that they will govern responsibly and with compassion for the most vulnerable. Pray for wisdom as they lead their nation through a time of great challenge.